Minttu Virtanen has a relationship with Kimi Raikkonen since 2014. Minttu Virtanen is a former stewardess and fitness addict. Minttu had a baby with Kimi named Robin. Minttu likes a lot the fashion world, so now she has a blog where she posts photos with her different outfits, some fitness advice and the trips that she makes with Kimi Raikkonen following the F1 Championship. Minttu was born on November 12th 1987, so she is currently 28 years old. There’s no official information about her age, but this information is supposed to be accurate. In other websites it’s said that she was born in the same date but year 1986, so she would be 1 year older. She was born in Finland as Minna-Mari Virtanen, later adopting the Minttu nickname. So, although there’s not a wikipedia page about Kimi Raikkonen’s girlfriend, we can put together all the data that we have about the gorgeous finnish girlfriend of Kimi Raikkonen. 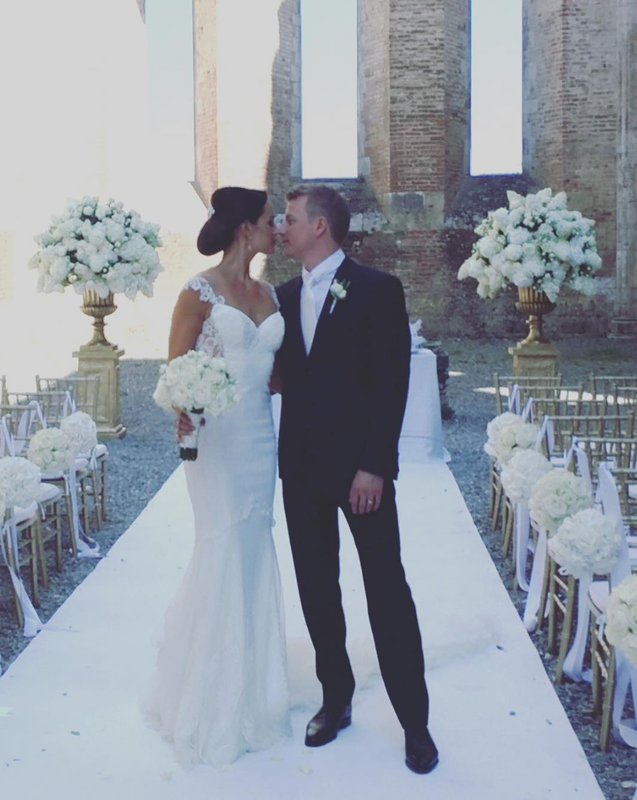 Minttu Virtanen and Kimi Raikkonen got married in Italy in August 2016, in a ceremony held in the Abbey of San Galgano, a Cistercian monastery in the city of Siena. Photos of the wedding were protected for a magazine deal, but Minttu posted a couple in her instagram account.